Ok, doesn’t the recipe title just make you say…mmmmm…Well, it does to me. 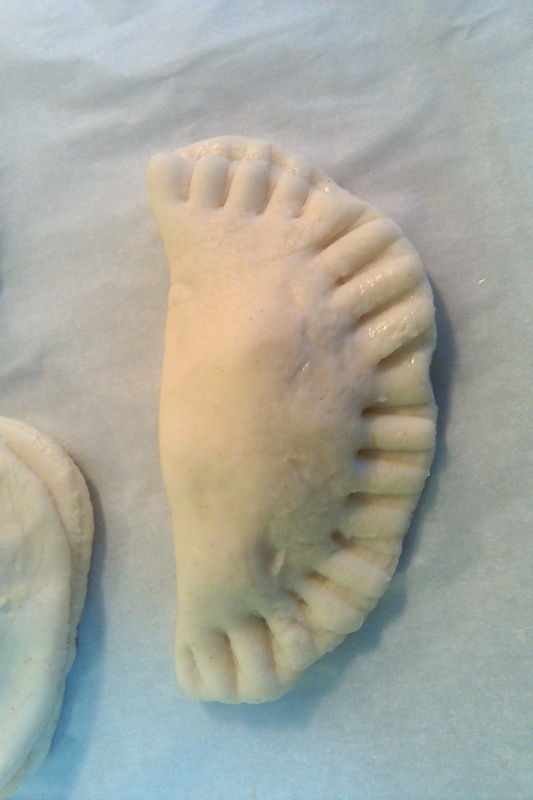 The first time I ever had a pierogi was in college. 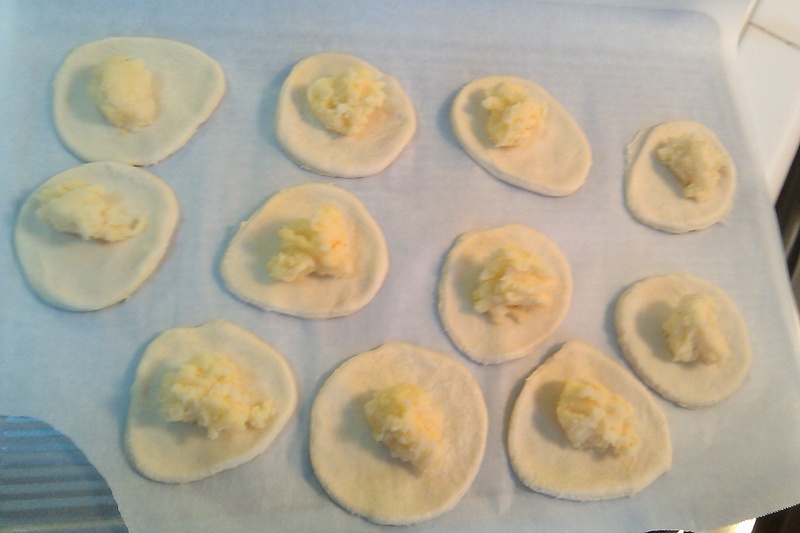 My now husband had purchased a box of frozen pierogies and occasionally would boil some up, with a random dish I was making. I thought it was nice, different way to have meat and potatoes. I had been thinking of trying my hand at making some for a while. Last week, for my Hanukkah themed cooking, I had made knishes for Hanukkah. 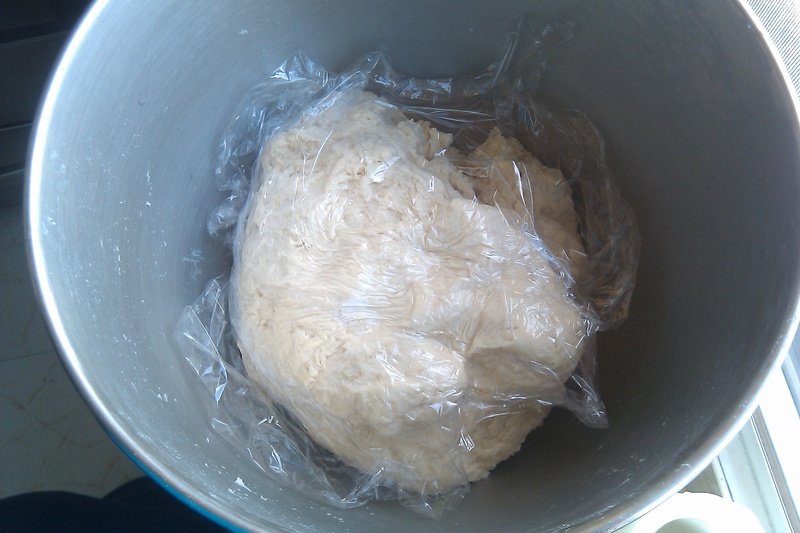 The recipe methods are so similar and easy, that I decided to finally make some. Best part, you can make a lot and freeze them. I love dishes that I can freeze! 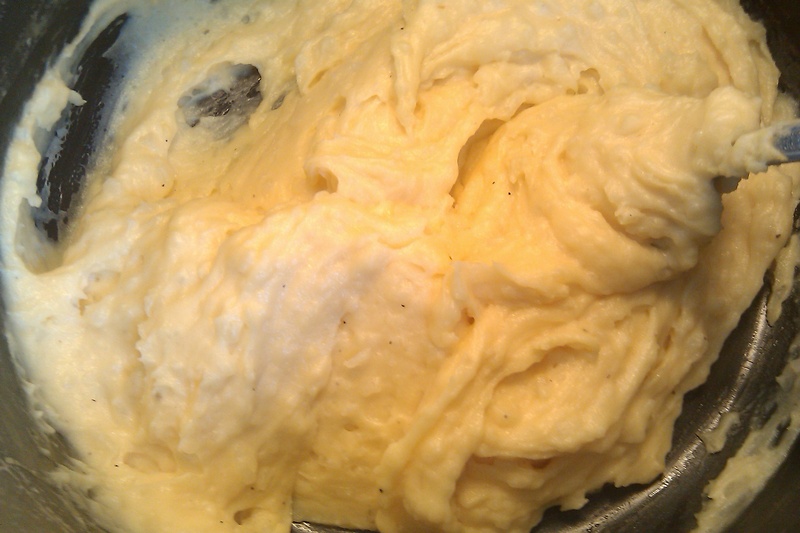 Combine mashed potatoes, cheese, salt and pepper. In each circle, add about 1 teaspoon of filling (depending on size of your circle), brush edges of circle with water and fold circle in half. 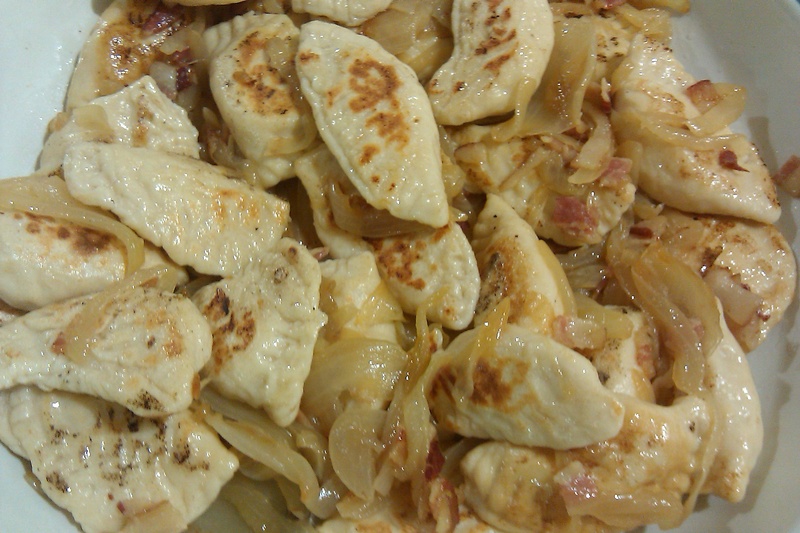 To Eat Now: Bring a pot of water to boil, drop pierogies into boiling water. When they float to the top, they are done (Remove immediately or they get soggy). *Whew* I ended up making 89 Pierogies. I served 32 of them during dinner and froze the rest. Those are beautiful and the photos are mouthwatering! Thank you for the recipe. Thank you so much! I hope you try it and enjoy it 🙂 Thanks for visiting my blog!